Ever since I started baking, I have used only bananas as a substitute for eggs. Bananas definitely give the moist texture for cakes and breads, but the drawback is the flavor of bananas is dominant in those baked goods. So whatever changes you make otherwise in the recipe, the end product tastes the same. For example my carrot cake and zucchini bread tasted similar. It was definitely very good, but we need some change right! So I was searching in the net for egg substitutes and found this site very informative. I decided to start experimenting with the various egg replacements and this is my first one using flax seed meal. 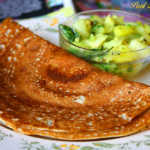 I add flax seed meal in my cereal (both cold and hot), salads and even in the chapathi flour. Being vegetarians walnuts and ground flax seed are the only sources of Omega 3 fatty acids. Preheat oven to 350F (325F for glass pans) for 15 minutes. 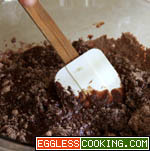 In a small cup add the flax seed meal and slowly add the water and whisk it with a fork and add it to the brownie mix. I chose to add vanilla extract also. Now add the nuts and combine it once again. 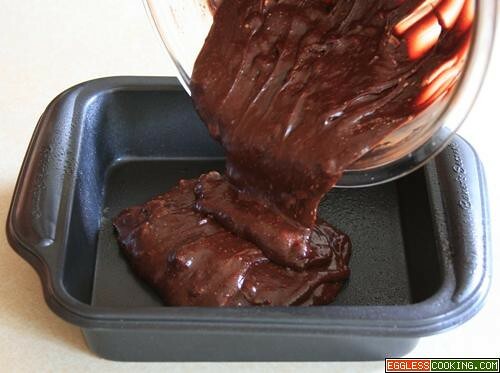 Generously grease the brownie pan. I used a non stick 8″x8″ pan. Bake it anywhere between 30-38 minutes. (Check the instructions in the package for detailed baking time). I baked mine for 40 minutes. But I think I should have taken it around 38 minutes itself, because I had little cracks on the top. That was the only negative thing with these brownies, otherwise they were unbelievably moist and gooey. We did not taste the flax seed at all. 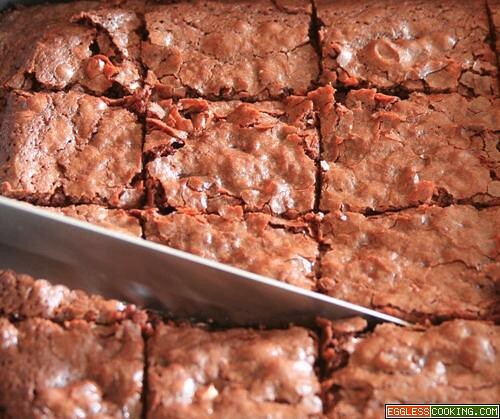 Just be sure that the brownie cools out completely before you can cut into squares. 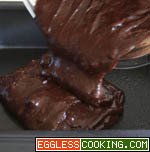 I bought the double fudge brownies, which had a chocolate syrup pack, which had to be added to the brownie batter. But I omitted it because this was the first time I was going to bake brownies and that too without eggs. So I did not want to experiment too much. 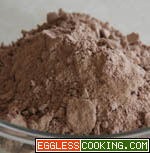 Egg substitute: I came across in many books and websites that ground flax seed is a good substitute for eggs while baking. But the ratio of flax seed meal to water was different in each and every place. I recently bought a vegan cook book and there were a lot of baking recipes using flax seed meal. So I decided to used the proportion given in that book. 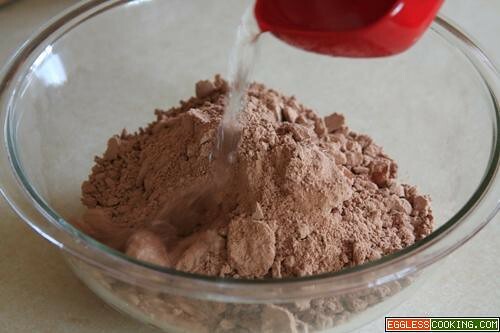 For every egg in a recipe, use 1 teaspoon of flax seed meal mixed with 1/4 cup of water. Checking the doneness of brownies: I read in the same book that inserting a toothpick to check the doneness does not work for brownies. Instead “the touch test” was recommended. 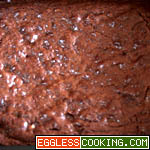 When you touch the top of the brownies, it should not leave an indentation. 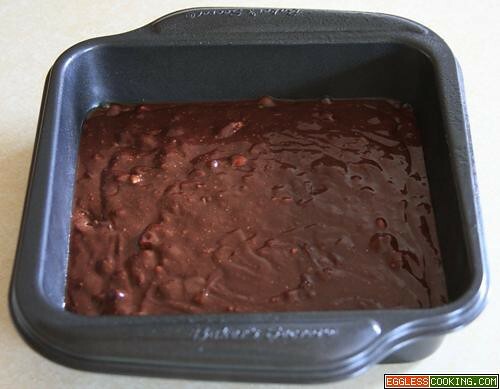 If it does, the batter is still soft, so you need to bake it for another couple of minutes. This my entry for Egg Replacement Event – Flax Seed Meal, hosted by me. 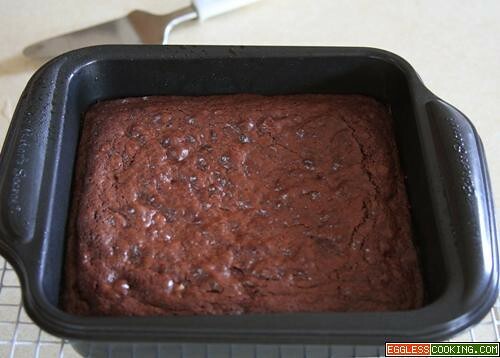 Enter G DOES NOT work well with boxed mixes…..it makes the brownies turn out like bubble gum at first and when the brownies cool…they turn into stone! 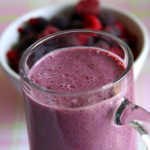 So I’m trying to redeem myself today with this recipe. I have suffered with an egg allergy for 18 years and this is the only thing besides omelette and deviled eggs that I miss….wish me luck! Oh wow Danielle! All the best! 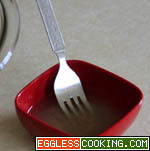 Can we use Ener G egg replacer instead of flaxseed? I have read that sometimes Ener-G doesnt work well in boxed mixes, so not sure how it will turn out. 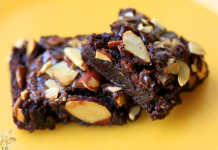 I still have to try the flaxseed version…next timme, but loved the yogurt substitute. So according to the recipe -don’t use 1/3 cup of oil but instead just 3 tablespoons with flax seeds ? No I used the oil and flax seed mixture. You mentioned the box said 1/3 cup oil so did you use 1/3 cup of 3 tbs of oil? I have just used 3 tablespoons of oil instead of 1/3rd of a cup. Thank you. Also, If I want to make the texture a little bit like cake- what should I do? By cake like texture do you mean light? 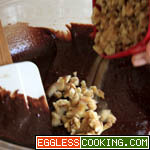 My question is, when adding the flaxseed mixture, is it 1 teaspoon flax to 1/4 cup of water? It mentions water twice in the recipe, 1/3 and 1/4. 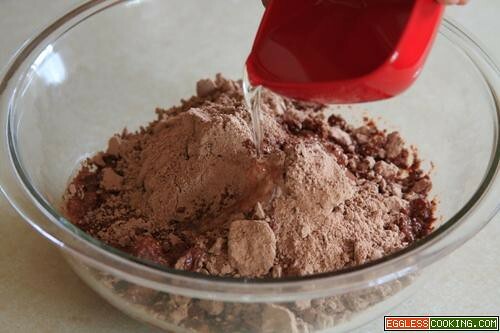 The first water is for the flax meal and the second one as per the instructions of the brownie mix pack. I have made the Big Batch Brownies a lot but the yougurt gives me a tummy ache. I will try the flax seed, Thanks for your ideas! 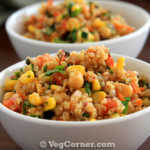 I Have been Vegan for 14 years and appreciate the ideas and recipes very much! 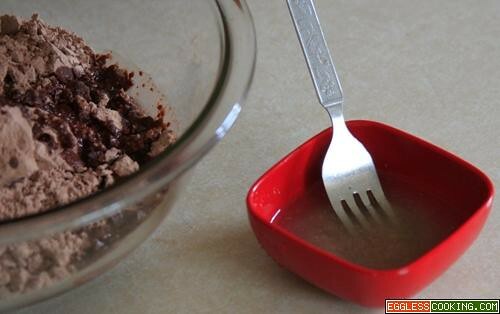 You can also use a combination of water, oil, and chia seeds to use as an egg replacer. Consistency comes out excellent! 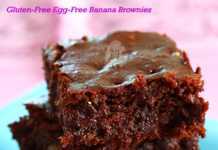 I was so excited to find this Brownie recipe as everything else I was trying just didn’t work without eggs (which my daugter is allergic too; and she loves Brownies.) 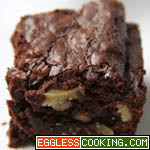 I have made these Brownies multiple times with good results but Betty Crocker Fudge Brownies did not work. They literally just didn’t cook (well the edges got hard and the inside was still liquid). So to save others some trouble stay with the Duncan Hines brand. Thanks for the tip Samantha. First of all let me say that I am ecstatic to have found your website! 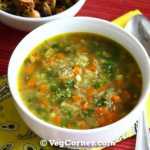 I am a vegetarian and I love baking and I finally have come across some fantastic & yummy recipes and ingredients here that I can incorporate into my baking ideas. 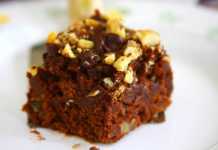 Speaking of that I saw that you have 2 brownie recipes..one using flaxseed and the other using yogurt. In your opinion which one turned out better and why? Thanks Hannah. I think I would prefer the one with yogurt because it had a chewy texture I love in brownies. 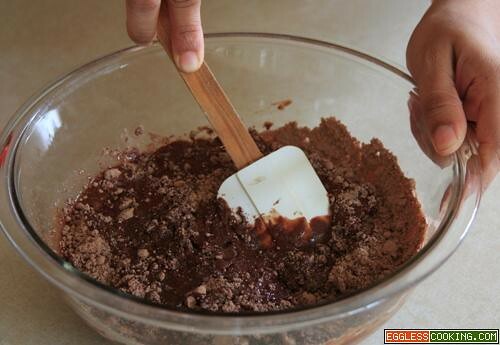 I’m guessing that you are baking it a little too long. Cut short the baking time by 3-5 minutes. Thank you very much Belinda. I want to make this recipe single serve. How? Do you mean just one piece? Just bake the whole recipe and freeze the extra and it will stay good for upto 3 months if stored properly. No I didn’t do it Gojji. I’m guessing it should. Those where the initial days of my baking so I did’nt dare to do anything out of the ordinary. Thank you!! i will not do it either as this is my first time. 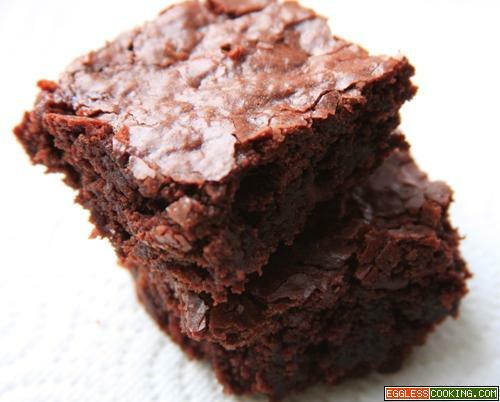 Applesauce would work, but I don’t suggest soda for a brownie recipe. 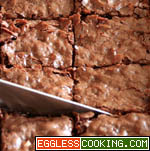 Will the flax seed work if you make the brownies from scratch with bakers squares? 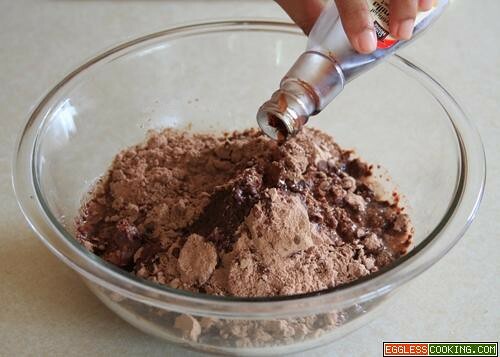 It does work Angela, check this Vegan Brownie Cupcakes recipe. Can I use silken tofu instead of flaxseed? 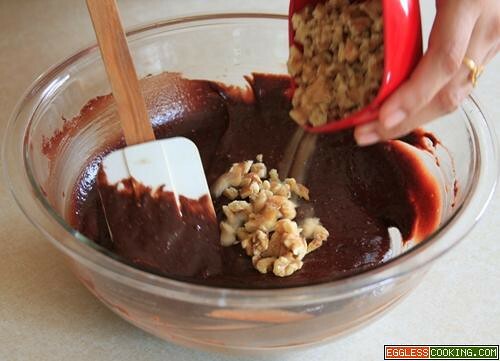 I know you have another brownie receipe with tofu…. 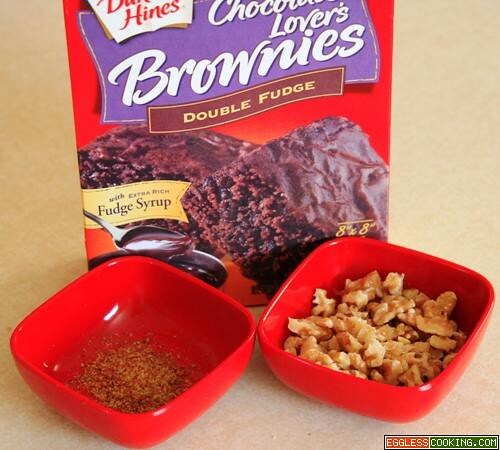 i dont have an oven but i have a microwave so how can i make a perfect brownie?? I haven’t baked in a microwave oven Kajal, so I don’t know anything about that. Sorry. mine was a disaster…had to trash it….followed the instructions step by step but a big disappointment…….!!! I really don’t understand why nobody is getting it right. Let me try it again myself and will blog about it. I bake a lot using flax seeds meal as an egg-substitute and the trick here is to warm the water and and flax seed meal mixture for about 20 seconds in the microwave and give it a quick stir – then let it rest for about 2 min before adding it to the other wet ingredients. Tried this recipe 2 times. Once with Betty Crockers Fudge Brownie mix and once with Duncan Hines Dark Chocolate Brownie mix and not too happy with results of both though the Duncan Hines was bit better. 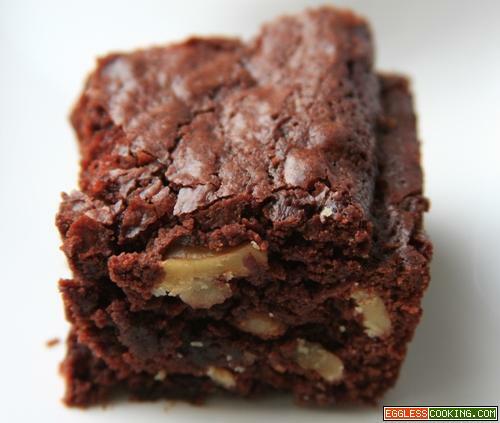 The brownies are too goeey and sticky and dense. What do you think could be the reason? 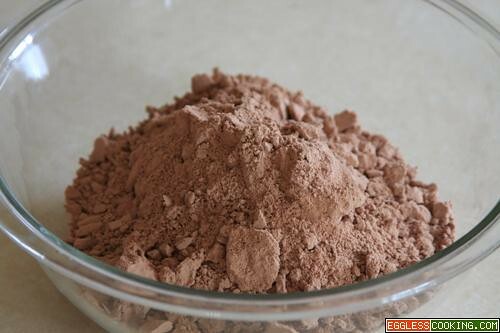 Does it require baking powder/soda or vinegar? 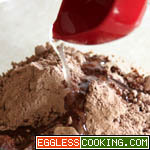 or does the flaxmeal have to be whipped with water till foamy? hope to hear from u soon….looking forward to trying the chewy cookies with silken tofu next. Sorry that you didn’t get it right Nisha. Yes the flaxseed meal has to be blended well until its frothy. Also I feel that you haven’t baked it long enough. Did the toothpick come out clean when you tested for doneness? I tried your recipe with flax seed and used the measurement of 1tblsp flaxseed with 3 tblsp warm water. After 30 mins, my batter still all wet and gooey in the center. So i baked it a couple minutes more and it totally hardened. Can you suggest what i can improve to make it successful next time. I’m not sure if the ratio change of flax seed meal and water is the issue.